Stress is a really interesting topic. As a practitioner I always ask clients about their stress levels and over the years I had to break it down into various categories i.e. : work, home, relationships, environmental. What I noticed is if you asked the question broadly some people saw stress as a failure….or a weakness….and would therefore say “I’m not stressed”! 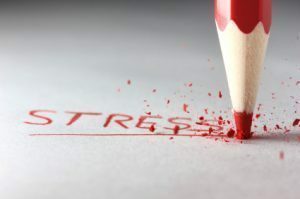 In actual fact stress is something that, given the right tools, we can learn to work with, therefore reducing the impact it has on our well-being. How can stress play out in our life? Appetite can be affected, for some people when they are stressed they loose their appetite and they may experience nausea and weight loss. For others stress makes them eat – usually all the wrong things, sugar, fat and salty foods, often resulting in weight gain. Then how do we feel? Well for some of us that might be depressed! So right here with this example we may have been stressed, anxious and left, in this example, depressed! Other physical symptoms may include physical body aches and pains, anything from headaches to joint pain and particularly muscular aches. Having been a massage therapist for nearly 25 years the shoulders and neck are two area’s that often seem to be affected when it comes to stress, triggered by emotional stress, of postural stress (environmental, such as sitting at computer). Very much a condition of the 20th & 21st centuries. Neurotransmitters are our brain’s chemical messengers and they have a profound influence on our overall well-being. If these neurotransmitter levels are low, these motivating and energising signals have diminished, causing more stress and a sluggish feeling. What are some things we can do to address stress and it’s effects ? 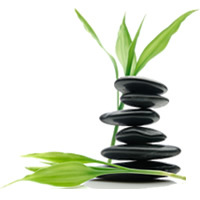 We can work with various approaches including- Mindfulness and meditation, gentle exercise such as Yoga, Tai Chi and Qi Gong as these all help us to balance Mind, Body and Spirit. These regular practices are very effective once you really commit to then! Take the time for you, you are the most precious person there is, and you give to so many other’s, you need to keep re-investing the time in you! Dietary considerations are also very helpful and supportive. When our gut is healthy it helps our overall well being, so having a personalised program from one of our Naturopaths can be great support, because at the end of the day we are all different! Finally, my speciality…. Biodynamic Craniosacral Therapy. This can lead to changes within the body, particularly areas of restriction. When we are stressed what do we do? We usually tighten up, holding onto our stress and this, in turn, causes muscular tension, which in turn can lead to restrictions to our blood flow, lymphatic flow and restrict nerves etc. BCST (Biocraniosacral Therapy) gives your body the opportunity to express itself in such away that it can connect with it’s own natural wisdom and original blueprint of health. The gentle craniosacral touch can bring about re-organisation that effects the physical, emotional and energetic, helping to reduce stress and anxiety and leaving the client to experience a deeper sense of relaxation. A deep sense of relaxation gives our Autonomic Nervous System the opportunity to slow down, allowing all the systems of the body to settle. This gives our body an experience that maybe it’s not used to as we are often functioning on overdrive, rushing from one thing to the next. I love to connect with people on a deep level, creating a healing environment for clients to feel safe in. 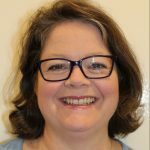 I’ve been a practitioner in Natural Therapies for 25 years, predominately as a Massage Therapist and teacher, Reflexologist and Flower Essence Practitioner and facilitator of Mind Body medicine courses. I was drawn to Craniosacral Therapy in the 90’s and studied some of this work then. However, it wasn’t until 2015 I decided to undertake a 2 year Diploma in Biodynamic Craniosacral Therapy through Body Intelligence – an Internationally recognised training organisation. I can honestly say, I’ve found what I am meant to be doing, I love this work and what it offers, and I’m excited to be able to offer this incredible therapy here at Simply Natural Therapies.